Gen Power, an affiliate company of Illini Power Products, is a family owned and locally managed organization since 1993. We rent a complete line of state-of-the-art portable, standby, and prime power generation systems light towers and power accessories to meet all of your temporary power needs. Our generator fleet includes environmentally friendly equipment. Gen Power also rents portable bleacher systems for any event. 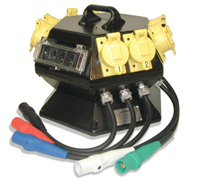 Our units are custom-made to our strict specifications with safety and ease of customer usage in mind. We at Gen Power have a simple philosophy: To offer the best rental generator systems and service support in the industry. It is this unmatched commitment to customer satisfaction that not only makes Gen Power different, but a generation ahead. Contact Gen Power at 800-436-7697 or e-mail us for more information on all our rental programs. Gen Power rents a complete line of the most advanced portable, standby and prime power generation systems. All of our rental generator systems are backed by factory-trained technicians, delivering reliable customer service to industries we know well. 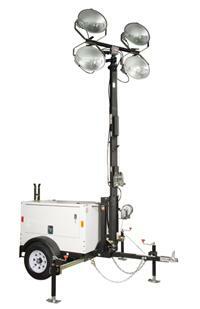 Gen Power’s rental light towers are designed and built for all environments. The four 1,000 watt metal halide lights will fully illuminate up to seven acres. Gen Power supplies portable bleachers for you temporary seating needs. Each unit has a capacity of up to 260 people. Gen Power supplies all of the power accessories you need when completing your needs on portable and standby power and light tower systems.